Christopher K. Tucker is a businessman and social entrepreneur active in the geospatial industry and the US national security community, and as Principal of Yale House Ventures, manages a portfolio of technology startups and social ventures. Tucker serves on the board of directors of the Open Geospatial Consortium and the US Geospatial Intelligence Foundation. Tucker is the founder of the MapStory Foundation which seeks to develop an online social media channel/platform. 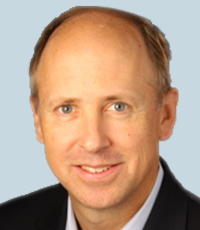 Roger Pilc is Executive Vice President and Chief Innovation Officer at Pitney Bowes Inc. In this role, he leads worldwide engineering, strategic technology and innovation, enterprise growth initiatives and technology alliances. Before joining Pitney Bowes in 2013, Roger was most recently with CA Technologies, the leading enterprise management software provider. 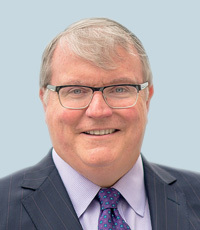 Since 2007, he held various leadership roles as a Senior Vice President and General Manager, including leading its largest distributed systems management business unit as well as running another business unit driving CA Technologies' growth and market share leadership in cloud systems management. He also led CA Technologies Strategic Alliances and Business Development team, and their Service Provider and Industry Vertical solutions initiatives. He began his career at management consulting firms Booz Allen Hamilton and McKinsey & Company. Working in New York and London, his client roster spanned telecommunications, finance, consumer goods, defense electronics and aerospace. Roger earned from Cornell University a B.S. from the College of Engineering and a B.A. from the College of Arts and Sciences. He has an M.S. from Stanford University and an M.B.A. from Harvard Business School. 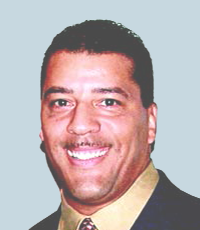 He is on the board of directors of the American Red Cross of Connecticut and also on the board of directors of the Fellowship of Fathers Foundation. 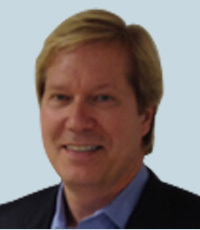 Bob Schukai is head of advanced product innovation for Thomson Reuters. He also serves as an ambassador to New York City and the East Coast for the London Tech City initiative. From 2005 to 2010, Schukai was vice president of wireless/broadband technologies for Turner Broadcasting System. 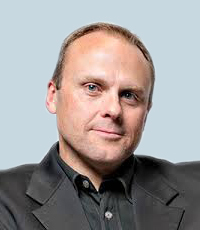 He previously spent 18 years working for Motorola in the United States and United Kingdom with roles in research and development, product development, engineering management, marketing, strategy, and business development. Schukai was named a Member of the British Empire for services to British trade and investment and promotion of STEM education. Before joining Intel, Greg was the Senior Director and CTO at CSR, responsible for Location strategy, technology evaluation, strategic partnerships, GNSS government interface, policy and IP. 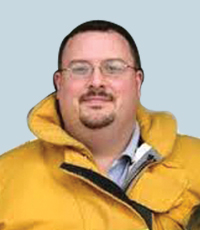 Greg also served as the Product Manager at Trimble Navigation responsible for technical marketing for Marine and OEM in low cost, consumer GPS products. There has been a proliferation of technologies proposed for expanding location capability in mobile devices from outdoor using GNSS to indoor such as RSSI, OTDOA, Proximity beacons and Sensors. As a platform provider in IOT, wearable, smartphones, tablets and laptops, Intel is positioned at the hub of this integration. This talk will give an overview of geospatial technology trends in mobile platforms and introduce Intel's capability for meter level positioning using WiFi FTM (fine time measurement) to enable a new range of usages. 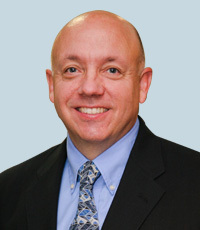 Mr. Jay W. Freeland has been the President of Faro Technologies Inc. since November 15, 2004 and also has been its Chief Executive Officer since December 4, 2006. Mr. Freeland served as the Chief Operating Officer of Faro Technologies Inc. since November 15, 2004 and served as its CO-Chief Executive Officer from February 03, 2006 to December 2006. 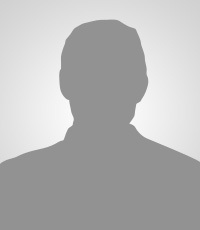 He is a 12-year veteran of the General Electric Company. He began his career in GE's Financial Management Program, and served 4 years on their Corporate Audit Staff & financial, business development, sales, and management roles of increasing responsibility unit since 2002. 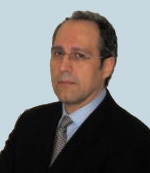 He has been a Director of FARO Technologies Inc. since February 2006. Mr. Freeland holds a Bachelor of Arts in Economics from Union College, Schenectady, New York. As the President of Hexagon Geospatial, Mladen Stojic has over 15 years of combined experience across Hexagon companies. Prior to leading Hexagon Geospatial, Mladen was the Vice President of the Geospatial division at Intergraph and before that, Senior Vice President of Product Management & Marketing at ERDAS. 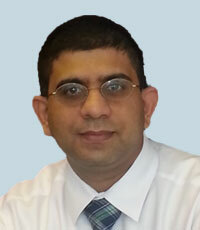 He has extensive experience in defining and delivering market and customer facing geospatial products and solutions. Mladen has held several Product Management positions across the companies, including spearheading the market strategy and vision for Leica Geosystems' growing enterprise and visualization portfolio. As the President of Hexagon Geospatial, Mladen leads all areas of the business, ensuring a positive customer experience from development and product management to customer support, marketing, and sales. His overarching goal is to lead the company and the industry into a new era of innovation. Mladen holds a Bachelor of Technology degree from Ryerson Polytechnic University in Toronto, Canada and a Master of Science from University of Western Ontario in London, Canada. Mladen grew up in Canada, but his family is Croatian, and it is one of his greatest pleasures to spend time in his family's homeland along the beautiful Croatian coastline. 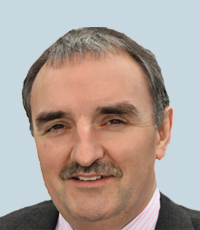 Chris has been Vice President of Survey, Geospatial/ GIS, Infrastructure of Trimble Navigation Ltd., since April 2009. Chris joined Trimble in 1998 and later in December 2010, his responsibilities were expanded to include oversight of geographic regions and divisions, including Building Construction, Construction Tools. 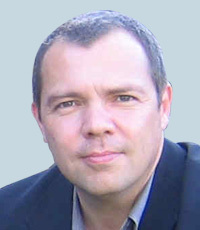 Gibson received a BA in Business Studies in 1985 from Thames Polytechnic (now the University of Greenwich) and was admitted as a Fellow to the Chartered Institute of Management Accountants in 1994. Converging forces are placing Geospatial information at the heart of an evolving ecosystem, Geospatial information is now central to our daily life in the public and private sectors as well as for consumers. Chris Gibson will talk about the trends that are driving this ecosystem and will provide examples of how Geospatial information is helping to transform the way the world works in multiple industries. Bert joined DigitalGlobe in June 2012 and currently serves as our Senior Vice President, Commercial and International Defense and Intelligence Sales. Prior to joining DigitalGlobe, Bert worked at IHS Inc. He holds a Bachelor of Business Administration degree from Baylor University with a double major in management information systems and quantitative business analysis. The geospatial industry of today bears only a faint resemblance to the geospatial industry of just a few short years ago. The paradigm of data as "king" is being supplemented by other industryenablers that are now making the information and insight extracted from geospatial data the new "king". This dynamic is being supported and driven not only by exponential growth in the quantity of data available and advancements in data storage and conveyance technologies, but also by the needs and expectations of completely new and different user groups. These new end users are not necessarily geospatial experts, but do highly value the quality and timeliness of the "answer" that geospatial data can provide. In this brief overview, DigitalGlobe will highlight the proactive business initiatives in which it is investing to serve this new paradigm, and lead the movement to Geospatial 2.0in order to democratize the timely and easy access to actionable information. Lawrie Jordan is Director of Imagery and Remote Sensing for Esri, as well as Special Assistant to Esri founder and President, Jack Dangermond. In this capacity, Jordan serves as an advocate for the success of users through the application of all forms of remote sensing and imagery within the GIS enterprise, including environmental, civil, defense and intelligence community solutions. 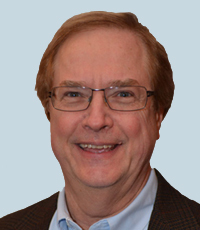 Mr. Jordan has over 35 years of experience as a leader in the field of image processing and remote sensing, including a long standing strategic partnership with Esri. He has been an advisor to numerous government organizations on current and future trends involving imagery and satellite programs. His background education is in Landscape Architecture, with degrees from The University of Georgia and Harvard University. Lawrie is the 2015 recipient of the Geospatial World Leadership Lifetime Achievement Award for his decades of contribution in the field of Image Processing and Earth Observation. Mr. Ivan B. DeLoatch serves as the Executive Director for the Federal Geographic Data Committee (FGDC) Secretariat, which supports the FGDC and its responsibilities. He leads the FGDC Secretariat that supports the National Spatial Data Infrastructure Strategy and spatial data policy development. Mr. DeLoatch has over thirty years of experience in environmental and geospatial program policy serving at all levels of government and the private sector. He has served in many leadership roles on interagency and international committees addressing geospatial and earth observation technical and policy issues in the use and coordination of geospatial data and information. Our world is increasingly complex and interconnected—humanity is challenged with understanding and adapting to changing economic, environmental and social factors. Geographic information is a universal language that helps society intuitively understand and interpret local-to-global conditions, events, relationships, and patterns. United States' spatial data are national capital assets—coupled with geospatial analytical tools they provide contextual and visual knowledge that define, influence and guide decisions and actions. In 1992 the U.S. established the National Spatial Data Infrastructure (NSDI) and the Federal Geographic Data Committee to advance geospatial capabilities—providing place-based understanding for the nation. The NSDI pioneered spatial innovations, and nurtured the evolution of place-based understanding—stimulating local-to-global collaboration and innovation. The NSDI's connective framework provides a collaborative, community model for partnering, sharing data, knowledge, technologies and procedures. Advancements in technology, industry and social networking increased the flexibility of the NSDI to adapt to shifts in priorities, policies, and strategies. From the Geospatial Platform's shared spatial services, and management of National Geospatial Data Assets, to addressing issues such as Crowd-sourcing, Open Government, and Spatial Privacy, the NSDI's policies, tools, and practices can adapt to meet the Nation's needs. 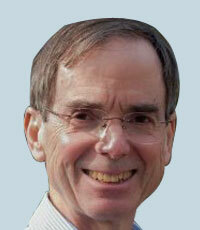 Tom Conry has been the manager of Fairfax County's GIS and Mapping Branch since 1999. Since then the Branch has progressively leveraged the dramatic developments in spatial technology and in enterprise systems to deliver GIS data and services to more than 13,000 county staff and to public web users. GIS is a core service in the county and is used in numerous county systems, including CAD/911, tax administration, public safety and public works. 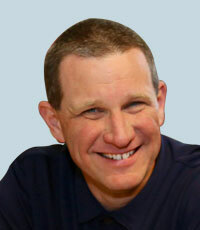 Tom served on URISA's Board of Directors for three years starting in 2010. He also serves on the Executive Committee of the Metropolitan Washington Council of Governments (COG) GIS Committee. 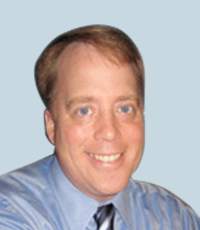 Tom has over 30 years of experience in information systems, and over 20 years of experience in GIS. Prior to joining Fairfax County he worked in private industry for 17 years, and non-profit and educational groups before then. He has advanced degrees in both Chemistry and Computer Science. GIS awareness and capabilities have significantly grown and evolved in both local government and industry, as have the tools themselves. That change and growth has not happened independently. Both areas, government and industry, interact daily on topics that include planning, design and construction, demographics, infrastructure management, vehicle routing, environmental modeling, and operations – to name the obvious ones. Because GIS has evolved to become an essential and pervasive tool in all of these areas, it has become an essential tool in the relationship between local government and industry. Additionally, local government is the source of vital spatial data for both, including surface models, ecologic data, 3-D data, cadastral information and related demographics; while industry is the source of key spatial data for local governments: design and construction. The point of convergence should go beyond simple interoperability to build a highly detailed model of our natural and built environments. For that to happen there need to be sufficient data and data standards, tools and staff capability to utilize the data and tools. In her 43+-year career, Ellen has worn many hats. Born in west Texas, she grew up in an oil business family, then lived her university years and early career in Tennessee and Georgia. Her first roles were in state government, working within several groups in The Georgia Department of Human Resources. In 1981, she returned to Texas and entered the energy business. Solving problems related to demographics, geography, both the surface, and sub-surface of the earth, her natural inclination towards the geospatial technologies is no surprise. Having been a manager, now a consultant, Ellen works alongside her business partner-husband to enable organizations to develop better business strategies. She enjoys travel, fishing, writing, and family pursuits. Abstract Geospatial Data Governance – It's a Strategy not a Project! Organizations struggle to manage information sustainably, if at all. Geospatial data is even more complex to manage, inasmuch it depends many factors not related to any one area, technology, or group. Why is it a challenge to keep our maps "right on" with positioning and attribute accuracy? What happens to the data? How can "good data go bad"? What can organizations do? Including a governance strategy for geospatial information in your overall strategy makes sense, as any business leader knows – having the right strategy is essential to success. Geospatial data governance is not a project. It is a journey of sustainability, acombined strategy for leveraging people, processes and technology, to preserve the integrity in geospatial data and manage associated risk. This must be considered from the top to the bottom of an organization. Geospatial data feeding maps for decision making must be trustworthy. Big data or small data, analysis of bad data yields bad results. If you don't have good and trustworthy maps, why go to the trouble to use maps at all? Bad maps make trouble! Pete has been with Xcel Energy and it's predecessor company, Public Service Company of Colorado for 30 years. He currently serves as Manager, Productivity Through Technology Program, overseeing the integration of business processes addressing the design and maintenance of Xcel Energy's gas and electric transmission and distribution systems. 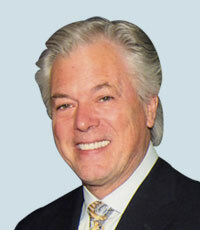 Pete spent 7 years as a member of GITA's Board of Directors, served as president of GITA-North America in 2005, and was the recipient of the organization's Distinguished Service Award in 2009. Additionally, Pete's knowledge and expertise in the areas of gas and electric distribution system operations as well as GIS system design and application development have made him a much sought after resource in the global GIS community. Most recently, he was a contributing author to a book entitled Successful Response Starts with a Map—Improving Geospatial Support for Disaster Management sponsored by the National Research Council of the United States' National Academies of Science. As utility companies focus on addressing the on-going demands of a diverse customer base while also complying with more stringent federal and local regulations, the geospatial industry faces many new challenges in supporting these requirements. As such, many utility companies have made concerted efforts to expand their focus on location-based services to support their respective business needs. This presentation will discuss how utility companies are addressing this new focus by integrating geospatial platforms and systems with other business and work management applications to support this ever expanding business need. Delta State University Talbot's undergraduate degree was awarded by the Rochester Institute of Technology and he conducted his graduate studies at Arizona State University. His emergency response career began in 1986 as a firefighter for Wareham (MA) Fire Department and he has since held numerous paid and volunteer positions within the emergency response domain. He was introduced to spatial technologies while researching the effects of global climate change on agronomic crops for the US Water Conservation Research Laboratory (USDA) in Phoenix, Arizona in 1993. He joined the faculty at Arizona State University's Department of Geography in 2000 before departing moving to a cooler climate in Mississippi in 2005. He served as President of GITA, is Director of the Center for Interdisciplinary Geospatial Information Technologies at Delta State University, provides volunteer GIS services for the Mississippi Emergency Management Agency, and is the Chief Engineer for Bolivar County Volunteer Fire Department. Service activities include the National Geospatial Advisory Committee, the Mississippi Coordinating Council for Remote Sensing and GIS (Technical User's Group Chair), and the Board of Directors for the GIS Certification Institute. 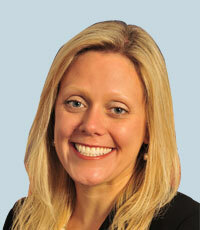 Remi Myers is the GIS Solutions Developer for Economic Development and Marketing for Alabama Power Company. He has over seventeen years of experience managing data and providing geospatial solutions for a number of commercial and governmental organizations. Remi currently holds a Master's of Science degree from the University of Georgia, and is pursuing his PhD in Environmental Health Science at the University of Alabama, Birmingham School of Public Health. Remi is responsible for providing demographic, cultural and terrain based GIS solutions for the development of industrial growth for the State of Alabama. Geospatial intelligence has become a significant tool in the hands of business and economic developers. The ability to rapidly access and visualize information in multiple dimensions allow analyst to associate and correlate variables in a manner that communicates trends or opportunities in an effective manner. The use of temporal analytics as a product to detect historical or future trends empowers decision makers with the ability to see the impact of policy decisions. Three dimensional models and animation products enable engineers to gain a preview of potential site configurations, visual impacts with existing features, and potential risks to the environment as a result of construction. This presentation will focus upon putting it all together for a rich, content driven solution to empower decision makers. Mash-ups of technology will be demonstrated along with discussions of effective data modeling and simulation. Dr Sarfi is a recognized industry expert in technology planning, asset management and distribution operations automation technologies. He provides business vision and technology solutions to electric, gas, and water utilities around the world. Dr. Sarfi has over twenty years experience in helping electric and gas utilities align process, technology, and organizations to improve operations and customer service. 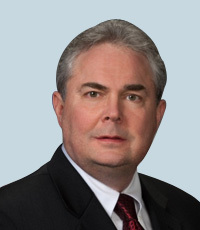 Prior to founding Boreas Group, Robert occupied numerous leadership positions with consulting firms focused on technology consulting to utilities. 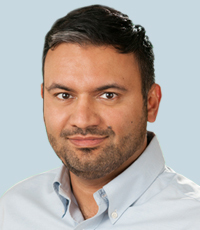 Dr. Sarfi has a bachelor degree from the Royal Military College of Canada and Ph.D. in electrical engineering from the University of Waterloo. He is a licensed professional engineer in the province of Ontario and a member of the IEEE. He has published and presented over fifty papers related to improving distribution system operations. He holds a patent related to an algorithm to reduce distribution losses. Dr. Anthony Stefanidis is a Professor and Chair of the Dept. of Geography & Geoinformation Science at George Mason University, and the director of Mason's Center for Geospatial Intelligence. He holds a Ph.D. in Digital Photogrammetry from The Ohio State University and his areas of expertise comprise the geosocial analysis of social media feeds, the analysis of digital imagery and video, spatiotemporal information analysis, and geosensor networks. He has edited three books and a journal issue, and has authored over 70 fully refereed papers. Sponsors of his research activities include the National Geospatial-Intelligence Agency, IARPA, NSF, NASA, Draper Lab, the Army Geospatial Center, the US Geological Survey, and the European Union. The total budget of his sponsored research to date exceeds $7 mil. 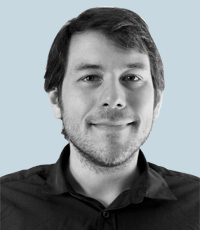 Cory Brugger manages the development and implementation of advanced design technology for Morphosis' multidisciplinary project teams, directing the office's computational and parametric design initiatives and the integration of analysis models for environmental and structural design. Mr. Brugger has overseen BIM coordination, model management, and VDC for many of the firm's most complex projects, including Cornell University's new Computing and Information Science Building-Gates Hall in Ithaca, New York; Vialia Vigo, a 1.2 million square-foot high-speed rail station in Vigo, Spain; Phare Tower, a 71-story office building in La Defense, France; and the Bloomberg Center for the CornellNYC Tech on Roosevelt Island in New York City. Mr. Brugger received a Bachelor of Architecture from Philadelphia University and a Master of Engineering from the Product Architecture and Engineering Lab at Stevens Institute of Technology. 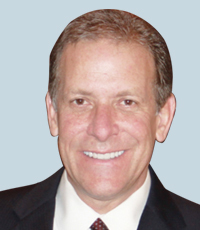 Dr. Magid Abraham is the co-founder of comScore, Inc., and currently serves as the Executive Chairman of the Board of Directors. 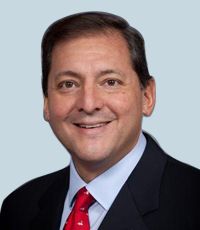 Dr. Abraham served as CEO from the company's founding in 1999 until March 2014. Prior to co-founding comScore, Dr. Abraham was founder and CEO of Paragren Technologies, Inc., which specialized in delivering large scale Customer Relationship Marketing (CRM) systems for strategic and target marketing. Paragren is now part of Siebel Systems. 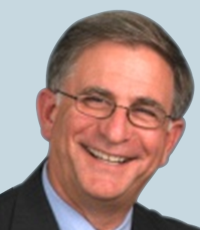 Dr. Abraham is a widely recognized expert on market research, consumer modeling and innovative information solutions. He has authored many articles in a variety of academic and industry journals. 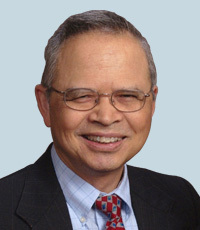 His most recent honor, received in January 2011, was the Buck Weaver Award for Marketing, established by MIT's Sloan School of Management for individuals who have made important contributions to the advancement of theory and practice in marketing science. In 2009 he received the AMA's Parlin Award, a preeminent national honor recognizing one individual annually. 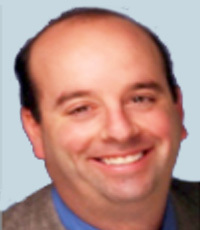 He has received the Paul Green award by the American Marketing Association (AMA) for the "best article that shows or demonstrates the most potential to contribute to the practice of marketing research and research in marketing," and the AMA's William F. O'Dell Award for an article "that has made the most significant long-term contribution to the marketing discipline." Dr. Abraham was also named Ernst & Young® Entrepreneur of the Year in 2008. He was also inducted in the Entrepreneurship Hall of Fame, designated along with comScore as a "Technology Pioneer" by the World Economic Forum, and was named a "Great Mind" by the Advertising Research Foundation. Dr. Abraham has given numerous speeches on Internet industry trends and marketing subjects in various industry conferences and forums. Dr. Abraham received a Ph.D. in Operations Research and an M.B.A. from MIT. He also holds an Engineering degree from the École Polytechnique, France's premier science and engineering school. Mr. Michael Howell is the Principal Deputy Program Manager for the Information Sharing Environment, the national office for responsible information sharing. Mr. Howell waspreviously Deputy Administrator for E-Government and ITat OMB where he supported the 2008 Presidential transition and IT management reforms. Hewas CIO at the Interior Department, the U.S. Fish and Wildlife Service, and the Bureau of Land Management. He worked inBLM's headquarters and multiple field officesand began his career with the U.S. Forest Service. Mr. Howell graduated from Penn State with a Forest Science degree andcompleted the National Defense University CIO certification and ISC2 Certified Information System Security Professional certificate programs. After the tragedy of September 11, the United States had an obligation to re-examine the way information was shared and conveyed. This call to action resulted in the creation of the Office of the Program Manager - Information Sharing Environment (PM-ISE) for terrorism and homeland security information. The ISE aims to be the premier advocate for responsible information sharing; to promote secure and trusted, whole-of-government collaboration; and to accelerate mission impact to counter terrorism and other priority threats. ISE supports these through transparency, participation, and collaboration with federal, state, local, and tribal agencies, private sector, international partners, and others. Within the geospatial community, ISE approaches interoperability involving three components: policy, standards, and architecture. ISE aligns existing policies across government; strengthens existing standards; and optimizes existing investments. The Geospatial Interoperability Reference Architecture (GIRA) is an example of how ISE brings together interagency partners and stakeholders to build a common framework and language for information sharing, aligning existing geospatial capabilities and the development of new system investments. The United States continues to face challenges in analyzing and disseminating terrorism and homeland security-related information, but we believe that by aligning with our mission partners, we can combat those challenges together. 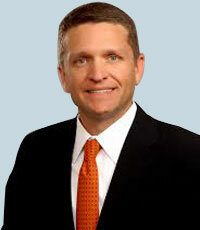 L. Joe Boyer joined Atkins in 2013. Previously, Joe held the position of president of the federal division at Shaw Environmental & Infrastructure Inc. in Austin, Texas, and prior to that was the chief operating officer at Asset Group Inc. and the vice president at Project Resources Inc., both in San Diego, California. Joe has managed multiple business lines since 2003, leading some of the United States' largest and most important environmental and infrastructure projects. He holds a degree in Civil Engineering from the University of Texas and an MBA from Pepperdine University. Ann Dunkin is EPA's Chief Information Officer. Prior to joining EPA, Ms. Dunkin served as the Chief Technology Officer for the Palo Alto Unified School District for five years. Before this, Ms. Dunkin worked for Hewlett-Packard for twenty years in a variety of engineering and senior management positions in R&D, IT, Manufacturing Engineering, Software Quality and Operations. Ms. Dunkin holds a Master of Science degree and a Bachelor of Industrial Engineering degree, both from the Georgia Institute of Technology. 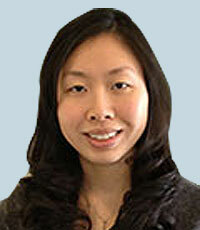 She is a licensed professional engineer in the states of California and Washington. Alex Piliptchak is director of geospatial product development at Schneider Electric, where he is responsible for geospatial solutions for utility and telecom industries. Prior to joining Schneider Electric Mr. Piliptchak served as vice president of product development at Manatron Inc. and director of global product strategy at Thomson Reuters. Mr. Piliptchak has over two decades of software development and executive experience providing geospatial solutions to private and public sector customers in various industries. For the last hundred years utilities did not have to change drastically but today the utilities industry undergoes fundamental changes driven by the ever-increasing expectations for service availability and cost efficiency, permeation of alternative energy sources and distributed generation. These changes place new demands on transmission and distribution infrastructure, its flexibility and reliability, often exceeding what was imagined possible by engineers and designers when it was put in place. But where is a change, there is an opportunity – an opportunity to solve these new emerging problems with innovative technology, new processes, new tools and new vision achieving excellence and driving the industry forward. Currently very small fraction of the utilities industry workforce takes advantage of geospatial technology to tackle modern day challenges. Convergence of Information Techology and Operational Technology, as well as development of geospatial technology into a pervasive platform capability, creates a great opportunity to solve most critical problems in the utilities industry. Schneider Electric, the world's leading provider of GIS solutions for utilities, works closely with our customers to understand these trends and challenges and help developing a better vision for the industry managing the change, which are outlined in this presentation. Where does geospatial end and BIM begin? Geospatial provides context for BIM, and BIM adds new dimensions of information to geospatial. Our maps do not need to end when we enter buildings. Also, our geography is increasingly alive with sensors that we can leverage (through predictive analytics) to make smarter decisions. These factors combine to make our geospatial platforms and related technologies increasingly relevant to all infrastructure-related endeavors. 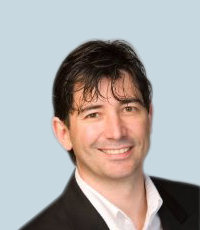 As a thought leader in geospatial technology with almost 30 years of experience, Kevin Pomfret brings valuable insight to companies that both generate and use geospatial technology and data. His service in the U.S. government and knowledge gained in private practice enable him to provide comprehensive advice to businesses and governments on the risks and opportunities associated with the fast-growing area of location-based technology and Big Data. I have been the GIS professor at California University of Pennsylvania for 16 years. My interests include Geographic Information Systems (Computer Mapping), geography education and sports geography. My goal is to apply spatial theory to the real world, particularly using GIS. It is essential that service learning be included in my geography courses. For example, students in my courses have completed real world projects (using GIS) for local police departments, and the Federal Emergency Management Agency. I have also taught numerous GIS workshops for members of the local community, professors at Cal U and other campuses and K – 12 community. I have built a successful geography research agenda through a variety of scholarly endeavors, including conference presentations, grants, technical reports, book reviews and publications in professional journals. The drilling for natural gas in the Marcellus Shale region meant an increase in GIS jobs for Southwestern Pennsylvania, however that job growth did not initially lead to a development in Oil / Gas GIS educational resources. These were problematic as the lack of resources hindered the development of future employees by not giving them opportunity to work with oil and gas related spatial data or understand the industry specific questions. Over the past 4 years, the lead presenter has worked to increase the educational resources in the exploration / drilling sector. However a discussion of new natural gas pipelines in Pennsylvania has now emerged, thus there is now a need for educational resources on pipelines. This presentation focuses on pipeline educational resources. First the presenter will discuss the types of spatial questions that arise when siting pipelines routes. Then through examples of possible pipeline routes, the presenters will demonstrate how the spatial data and imagery can be utilized to answer the various questions. Finally the presenters will illustrate how the questions and examples are integrated into university assignments, and also discuss the supports and challenges to create these resources. 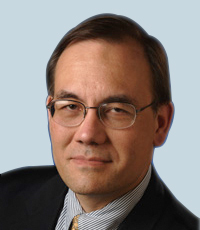 Scott Pace is the Director of the Space Policy Institute and a Professor of Practice in International Affairs at George Washington University's Elliott School of International Affairs. His research interests include civil, commercial, and national security space policy, and the management of technical innovation. 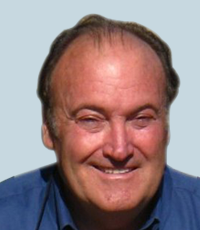 Dr. Pace received a Bachelor of Science degree in Physics from Harvey Mudd College in 1980; Masters degrees in Aeronautics & Astronautics and Technology & Policy from the Massachusetts Institute of Technology in 1982; and a Doctorate in Policy Analysis from the RAND Graduate School in 1989. His dissertation was entitled "U.S. Access to Space: Launch Vehicle Choices for 1990-2010." Geospatial data and applications are vital to a wide range of national interests, such as national security, public safety, commerce, science, and international relations. In many respects, the United States has achieved its bipartisan vision for leadership in geospatial capabilities (e.g., remote sensing, GPS) as laid out in multiple national policy statements and congressional legislation. However, this leadership is increasingly challenged by the increasing globalization of geospatial technologies, regulatory burdens, and policy uncertainties. Geospatial applications have been and continue to be challenged by diverse tensions among public and private sector interests. The expanding global geospatial ecosystem includes terrestrial, airborne and space components that U.S. policy and regulations still treat in distinct ways. Space systems, in particular are constrained by Cold War-era regulatory practices that are hard pressed to keep up with the pace of commercial innovation. This presentation briefly addresses key public-private sector policy tensions with an emphasis on space systems. These tensions include those between national security and commerce in the licensing of commercial remote sensing systems; between terrestrial communications and space services; and between scientific benefits of data sharing and incentives for private investment in the creation of new data sources. Greg leads the Secretariat for the United Nations Committee of Experts on Global Geospatial Information Management (UN-GGIM), providing strategic policy advice and leadership in the coordination and implementation of UN-GGIM initiatives with Member States and related International Organizations involved in national, regional and global geospatial information management. He is also responsible for developing the substantive content for the Committee of Experts, High Level Forum's, international technical capacity development workshops, and other international fora. Greg previously spent more than 20 years in Geoscience Australia in a number of key roles delivering Australia's national topographic mapping and derivative geospatial programs, and providing independent scientific analysis and advice in the use of geospatial information for emergency management, critical infrastructure protection, and lifeline network functionality. Greg possesses formal qualifications in Cartography and Survey Mapping, has a Graduate Diploma in Geography from the Australian National University, and is now studying towards a PhD at the University of Melbourne's School of Engineering. Dr. Navulur is Sr. Director of Strategic Solutions at DigitalGlobe. He has over 23 years of experience in Geospatial industry. He is adjunct professor at Universities of Denver and Colorado where he advises doctoral students. He is the author of the book entitled "Multi-Spectral image analysis using object oriented paradigm". Mapping has evolved in the 21st century from static maps to dynamic maps, from a niche map users to common fabric in day to day life common person. The talk will discuss the evolution of mapping, a look into some of the common problems encountered in map making , and how new geospatial technologies including remote sensing, are chaning the mapping paradigm. Tracy McLane is the GIS Manager for Bechtel Infrastructure, where she also serves as the GIS Technical Discipline Lead for the company. She was named as one of Bechtel's Distinguished Scientists (BDES) in 2012 and is responsible for the development of the GIS Technical Center of Excellence for Bechtel and has implemented an Enterprise GIS database and centralized GIS Knowledge Bank for the Bechtel GIS user community. 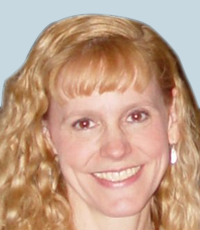 She currently serves as the Vice Chair on the Oracle Spatial Special Interest Group (SIG) Board of Directors in the Independent Oracle Users Group (IOUG). Ms. McLane holds a Masters of Science degree in Geography from the University of Tennessee in Knoxville, Tennessee and a Bachelor of Arts degree in International Business from Eckerd College in Saint Petersburg, Florida. For large engineering infrastructure projects, the need to ensure spatial data quality and positional accuracy requirements for field data collection is critical for minimizing the cost of rework during construction. The use of survey and other GPS/GNSS data can be used for modeling some of the most accurate Geographic Information Systems (GIS) and CAD data for a project and should be part of its strategic approach for spatial data integration to its BIM model. This presentation will focus on spatial data management methodologies for survey-based geometry creation and the use of enterprise database functions to integrate and analyze data to support engineering and construction work on Bechtel projects around the globe. Several examples of project "Big Data" integration and 3D geometry creation will be used to illustrate how the use of Oracle Spatial database functions, PL/SQL and standard Oracle Structured Query Language (SQL) can help achieve efficiencies in these data-centric project tasks. These examples will include: 1) feature-coded ground survey geometry creation for use in 3D surface modeling of a transmission line and pipeline corridor in Chile, 2) an innovative Oracle Spatial database design which helped effectively manage the solar pylon GPS/GNSS locations and aggregate their related observation variables (such as Dilution of Precision (DOP) and space weather indicators of geomagnetic effects) on a large solar energy project site in California, and 3) producing construction quantities from GIS on a transmission line corridor in Alberta, Canada. Dan is the Executive Director of Go360 for AGSI, Canada's premier geospatial software, data, and professional services provider. 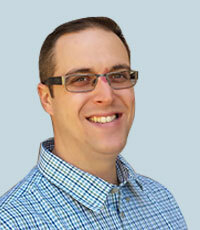 Dan entered the GIS field with a background in Survey and Drafting. Since then he has supplemented his Geospatial experience with an MBA and Post Graduate studies in Knowledge Management. Over the past several years Dan has spoken and taught on geospatial issues across North America, Europe, Asia and the Middle East. Dan is a Past President of the Geospatial Information Technology Association (GITA, a past president of British Columbia's Integrated Cadastral Information Society, and a member of NAIT's Geomatics Advisory Committee. The number of devices providing geospatial information is growing exponentially. The demand for analytics capabilities is expected to amplify significantly in the coming decade. Geospatial applications will be expected to make sense of far more data far more quickly. Unfortunately most utilities' and governments' geospatial systems were developed to answer the question "what is" and will need to evolve to tell us "what happened," "what IS happening", and "what WILL happen". Systems designed to support update cycles measured in weeks and months will need to respond to events in real time. Today GIS analytics typically involve extract, transform, and load operations (Spatial ETL). Data sets tend to be periodically combined rather than dynamically integrated. What are the key differences between traditional 'enterprise' geospatial information systems and those we will need to enable powerful, adaptive analytics against massive amounts of dynamic information? Gary Bilotta is the GIS Manager for the Elections Department in Maricopa County, Arizona and has been since 2006. In his role there, he manages the GIS department as well as develops and maintains the department's GIS internet and desktop applications. He received his bachelor's degree in Geography from Northern Illinois University in 1999 with an emphasis in geographic information systems and has been working in the GIS field since then. And then in January 2014, Gary received his GIS Professional Certification from the GIS Certification Institute. This discussion will focus on how Maricopa County, Arizona – the fourth largest electorate in the United States – has leveraged Geographic Information Systems in the election process. With just under two million active registered voters, 184 unique jurisdictions, 724 voting precincts, and over 1.6 million residential addresses, utilizing GIS has helped support the many functions of the election department in a myriad of ways. The department has incorporated GIS in its voter registration system, ballot building process, election day management, polling place delivery routing, and redistricting. The Federal Geographic Data Committee has the responsibility for implementing the US National Spatial Data Infrastructure (NSDI) and it is now applying the concept through its National Geospatial Platform. The evolution and implementations of Spatial Data Infrastructures has exploded over the past several years – locally, nationally, and internationally. I will discuss ourrecently developed NSDI Strategic Plan, its key goals and objectives and future activities and opportunities to move the NSDI forward. TheNSDI Strategic Plan sets priorities and describes the actions the FGDC community will take, in collaboration with partners, to develop and maintain the Nation's critical geospatial infrastructure. This Plan was developed through extensive consultation with Federal agencies, the National Geospatial Advisory Committee (NGAC), and with partners and stakeholders across the geospatial community. This external input was instrumental in shaping the plan and in reflecting the perspectives of the broader geospatial community. The NSDI has become a critical vehicle for facilitating seamless data development, information sharing, and collaborative decisionmaking across multiple sectors of the economy. Douglas M. Adams, GISP, is the Engineering GIS Program Manager for Baltimore County, Maryland's Department of Public Works. Doug is serving as Treasurer on the URISA Board of Director's. 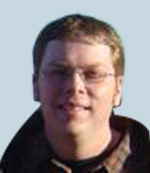 Doug is an adjunct professor at Towson University where he teaches GIS Database Design. He is also an instructor at the University of Minnesota Morris Wind STEP program, a two-week study in alternative energy, where he teaches GIS and mentors students in the development of a wind farm siting project for a reservation. Doug holds a bachelor's and master's degree in geography and environmental planning.Doug also served in the Army Reserves and National Guard as Topographic Engineer and Military Intelligence Officer. Baltimore County, Maryland has over twenty years' experience developing and maintaining its enterprise GIS. GIS technology has been infused into numerous business processes and the use of GIS continues to grow as business process improvement and/or re-engineering efforts are realized by County agencies. The County's GIS was built according to our requirements while leveraging, where applicable, national, state and industry standards and best practices. The County actively participates in design, developmentand data sharing activities with external entities. In 2007, the County updated their GIS Strategic Business Plan and documented over 380 business processes that benefit through the application of GIS technology. This study documented the return on investment realized by the County which continues to grow as GIS is integrated into more business processes. This presentation will summarize the County's GIS program and how we've managed to facilitate change within our agencies to leverage the potential of geospatial technology. Mr. Starkov is a computer scientist and entrepreneur with over 25 years of experience in software consulting and development. 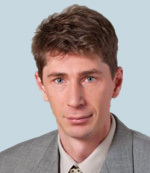 Mr. Starkov also has over 15 years of experience leveraging technology to improve construction project delivery and management of the built environment. 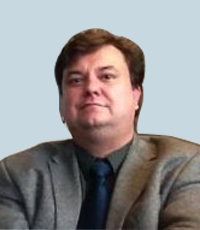 Mr. Starkov's experience in the AEC, IT, and Facilities Management arenas and his in depthknowledge of Building Information Modeling (BIM), Lean Construction methodology, and Energy Management issues provide him with the unique capabilityofproviding versatile information-enabled solutions. He brings particular expertise in technology-enabled COBie (Construction Operation Building information exchange)workflow analysis and in creating applications that combine relational databases with analytical and visualization capabilities. Prior to co-founding EcoDomus, Mr. Starkov co-founded Tokmo Solutions (acquired by EcoDomus) and Latista Technologies (acquired by Textura Corp.), the leading provider of construction field administration software solutions. Mr. Starkov is a recipient of FIATECH (www.fiatech.org) CETI award for 2010 and 2013, and he has been profiled in the ENR Magazine's cover story in March 2011. Guest speaker at industry events including AIA National Convention, ENR BIM conference, Texas BIM Forum, NFMT, FIATECH conference, Campus Facility Technology Association conference, Tradeline "Lean Facility Management" conference, IFMA Fusion conference, BIM conferences in Canada, China, South Korea, Japan, Brazil, Russia, Malaysia, CMAA, DBIA, and other associations' events as well as COBie Challenge events. Mr. Starkov conducted over 60 industry webinars presenting to groups of over 500 attendees, speaking on COBie and the application of BIM for facilities management. Abstract "BIM-GIS integration: open standards and case studies"
Standards play an important role but application of standards is often misunderstood. For example, the AECO (Architecture, Engineering, Construction, Operations) industry has a Building Information Modeling (BIM) standard called IFC (Industry Foundation Classes) that defines almost everything related to a facility: from planning and design to construction and operations, using a vendor-neutral open standard approach. IFC is set of definitions that describe assets and spaces, processes and participants, documents and systems of objects. How IFC is actually used is defined by Model View Definitions (MVD), for example, Coordinated View MVD is used to identify conflicts during design (i.e. pipe clashes with duct), and delivery of maintainable assets to facility management from BIM is defined by another MVD called COBie (Construction Operation Building information exchange). GIS and BIM relationship will require an MVD that defines how data is prepared and exchanged, which is what buildingSmart and OGC are working on. This work will need to consider use cases (scenarios) tested by real life projects, such as the projects reviewed in this presentation. EcoDomus, the leading Lifecycle BIM firm, will present a case study of BIM FM project that included integration of BIM with GIS, BAS, and CMMS. Dan Colby has over 20 years of geospatial technology experience and provides a deep understanding of the evolving geospatial markets as well as the emerging geo-analytical industry landscape. 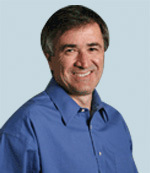 Dan was the founder of Sentinel USA and spent nearly 16 years as the President and CEO before he negotiated a successful acquisition of the company in February of 2013. Since its inception, Sentinel USA grew to become one of the leading utility GIS service companies in North America. Sentinel USA specialized in providing deep expertise in data collection and data compilation. As Senior VP of Geospatial Technologies, Daniel provides expertise in the areas of spatial data integration, application interfacing, interactive application design and mobile tracking technologies. 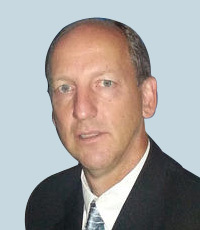 His knowledge of open data standard modeling and application configuration using OGC's Open Geospatial Standards and XML technologies provides ProStar with the expertise to deploy spatial technologies for its unique and patented industry solutions. 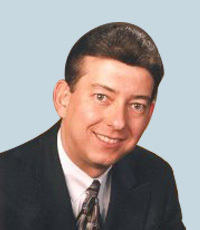 During Dan's professional career, he also co-authored several ProStar patents, including; "System and method for collecting information related to utility assets", "Distance correction for damage prevention system", "System and method for utility asset data collection and management", and "Precision GPS driven utility asset management and utility damage prevention system and method". In addition, in December of 2000, Dan was nominated to serve on the interim board of directors for the initiative known as the Pipeline Open Standard (PODS) where he served on the board until October 2008. Today, Dan represents ProStar as a OGC member in the creation a new and open data standard for the pipeline industry called pipeline markup language 'PML'. 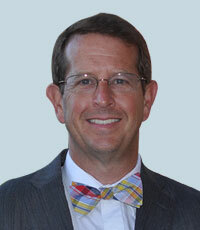 Dan also serves on the Utility As Built committee for ASCE 38. Enbridge Pipelines Inc. with the help of ProStar successfully deployed, in a production setting, an enterprise cloud and mobile solution to improve its damage prevention and asset management practices. The solution provided the real-time ability to aggregate vast amounts of information from multiple sources and seamlessly and securely made this information readily available to field and office workers where and when it was most needed. Workers captured and recorded new data as well as viewed historical records, assessed this information in real-time and immediately made informed business decisions and provided feedback when updates or revisions were required. Enbridge Pipelines Inc. operates in a very complex and highly regulated environment. Change into this environment is challenging both from the business processes and the information technology (IT) perspective. Another challenge of a mobile and cloud solution was to ensure the inherent safeguards of the ProStar applications met security standards and guidelines. The strategic goal of the project was to implement a comprehensive, open and integrated management solution that provided interoperability between internal and external data sources including engineering, One-Call, construction, land services, projects, and maintenance. The implementation of the ProStar Solution leveraging industry standards accelerated interoperability throughout the enterprise and meant asset information was captured in accordance with regulatory requirements, including the ISO 15926 standard for data integration, sharing, exchange, and hand-over between computer systems. Other benefits resulting from implementing the ProStar Solution include more efficient business processes, reduction of paper forms, improved location accuracy and the timely delivery, collection and sharing of information. 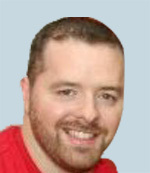 Dale Adcox is a Subject Matter Expert in WorkFace Planning and Advanced Work Packaging with over 7years' experiencein using automation and data integration to continuously improve the Construction planning activities. Mr. Adcox is currently the Global WorkFace Planning Manager for Jacobs successfully implementing over 2 billion dollars' worth of projects franchising his WorkFace Planning approach. This philosophy won Jacobs the 2014 Bentley Be Inspired Award for Innovation in Construction. 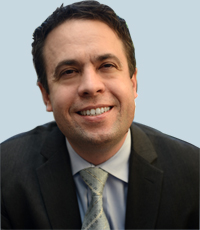 Manny Rios is President and Chief Executive Officer. His role is to create the vision and strategy for the continued success of the company, and build a highly collaborative, results-focused culture that serves the client/customer, employee and shareholder. He began his leadership of American Modern in November 2011. Manny is also Chairman of the Regional Diversity Council. Prior to joining American Modern, Manny was the Senior Vice President and Chief Underwriting Officer at United Services Auto Association (USAA). He started his insurance career at Allstate where he initially worked in finance before holding various management roles in underwriting, sales and marketing. Manny was also appointed to Chief Underwriting Officer at Homesite Insurance. Manny earned an M.A. in organization development from University of Incarnate Word, as well as a B.A. in business administration from Benedictine College. He participated in the ROTC program while in college and also served in the U.S. Army National Guard. Abstract Practical Use of Geospatial Technology Drives Innovation"
Across numerous industries, big data and analytics are profoundly altering the business landscape. Until recently, however, only a handful of the largest insurers were using them to find innovative alternatives to everyday business operations. Now, many insurers effectively leverage the power of geospatial analytics to more precisely understand markets and mitigate losses. The methods for effective decision-making have shifted from qualitative decisions on individual risks to quantitative data-driven decisions on a broader portfolio. For example, optimized underwriting requires geospatial analytics at the point-of-sale. In addition, geospatial analytics enable sophisticated by-peril rating by refining rating territories and also more precisely assessing factors such as the distance to coasts, potential wildfire exposures and flood zone perils. Further, geospatial analytics are being leveraged in catastrophe risk management by using models to assess exposure to hurricanes, severe thunder storms and earthquakes, among other risks, on a very granular level. In fact, geo‐spatial analytics are expected to positively affect both residential and recreational product loss ratios, a win for both company and customer. Dipanshu founded xAd in 2009 with the goal of conquering the mobile-local search and advertising markets in the U.S. He previously developed new technologies for Nokia, as well as co-founded RockeTalk, India's fifth-largest mobile traffic site; and Kadonk, the top Microsoft Project Viewer. He is on the board of directors at xAd and Kadonk, and is a member of Veracity Wireless' advisory board. He holds specialized management/entrepreneurship degrees from UC San Diego, and HUT, Helsinki, Finland. He holds a master's degree in computer science and a bachelor's degree in computer science from Delhi University. Johannes is a Program Manager for the B2B aspects of Microsoft's Bing Maps Platform based out of Redmond, WA with extensive experience in various geospatial technologies. In 2004 he joined Microsoft in Germany, a year later he relocated to the UK and joined the Bing Maps team and in 2011 he moved to Redmond - initially as a Worldwide Technology Solution Professional and later as a Program Manager. Before specializing on Microsoft's geospatial products and services, he had experience with various GIS, spatial databases, relational database management systems, workflow management, collaboration products and IT security. Basic mapping becomes increasingly commoditized. At the same time the way how we interact with technologies changes and tomorrows map might not even be a map anymore. The importance of the geospatial platform for richer and closer to real-time data behind the maps as well as new scenarios higher up in the value chain growth. From data visualization in business intelligence or common operational pictures over the machine learning behind recommendation engines or decision support tools to your personal digital assistant, location understanding is everywhere. Geospatial technologies are becoming a brick in the foundation of many products and services. This is about more than mapping. It is about analytics, about transporting information in new and innovative ways, about better understanding. It truly is about empowering people – be it in the consumer or business space. Matt Thomas has been involved with GIS in the oil and gas industry since 1999, working both on the operator side as well as the services side of the business. His current role in the industry is as the Sr. Industry Manager for Pipelines representing Novara GeoSolutions, a CHA Company. Matt also is President-Elect to the GITA Board of Directors and will be Chairing the annual Pipeline Week Conference in Houston, Texas. In his 15-plus years in the industry, Matt has developed an understanding and appreciation for a variety of disciplines impacting the oil and gas pipeline industry, including pipeline integrity, engineering construction, right-of-way/land management, operational compliance, public awareness/One Call, and GIS best practices. He brings a process-centric approach to GIS and data management that focuses on serving timely, accurate information to GIS users, supporting more educated, efficient, and repeatable decision support that is well-positioned to evolve as new technologies and new regulations are introduced to the industry. Abstract What's the Big Deal About Big Data? In today's subsurface pipeline industry, the term "Big Data" has long been a buzz-phrase relegated to IT team meetings and dinner conversations between consultants, far removed from the eye-rolling of the business and operations side of organizations. The concept itself is certainly relevant, but the wordplay and frequency with which the phrase is passed without explanation or meaningful definition tends to frustrate those who don't deal with such ideas on a day-to-day basis. But with the realization that a sound approach to "Big Data" undoubtedly leads to safer, more efficient operations of pipeline assets, this oft-misunderstood concept is one that is quickly coming to the forefront as a necessary part of a reliable data management solution. This session will outline how providing vastly improved decision support through more accurate, timely, comprehensive data reporting and visualization capabilities can help drive pipeline companies to success beyond the norm. Apollo Teng has been the GIS Manager for Montgomery County, Maryland for 22 years. Prior to the current employment, he worked for the City of New York Planning Department (GIS group, Information Systems Division), Intergraph Corporation (Graphic Polygon Processing Utilities team, Natural Resources Application Division), Roadnet Technology Corporation (A subsidiary of UPS, Timonium, Maryland) (GIS Services team) and Earth Technologies Corporation (GIS Services group, San Bernadino, California). He had also taught GIS part-time at Alabama A&M University and Montgomery College (Maryland). The Montgomery County GIS Team has won numerous NACo (National Association of Counties) IT Achievement Awards and PTI (Public Technology Institute) IT Solutions Awards. The GIS team website is: http://www.montgomerycountymd.gov/gis. Mr. Teng holds Bachelor of Architecture degree from Chung Yuan University (Taiwan) and Master of City Planning (MIT). People often say 80% or more of the local government data has spatial information content. City or county resident addresses, local government social (and many other) service client addresses, public and private facilities, etc. all have geo-spatial components. GIS (geographic information systems) technology is a modern way for inventory, management, and applying these geo-enabled datasets for analyzing, planning and delivering more effective and efficient services to its citizen. There are a number of GIS processing capabilities (or tools) that can be readily applied to tackle seemingly gigantic tasks facing the county managers. This talk will use the following project examples to illustrate that GIS has become an indispensable toolkit for county government management. Geocoding (matching addresses with street centerline based address ranges or individual address points) 770,000 MVA (Motor Vehicle Administration) registration records for the County in order to append X, Y coordinates to the records. These 770,000 points can then be assigned to the proper municipalities or the County. The State Highway Revenue sharing can thus be equitably distributed to the County and the politically subdivisions within the county. Buffering technique was used to create half- and quarter-mile buffers around the proposed Bus Rapid Transit (BRT) routes. These buffers were then used to retrieve taxable properties (from a county database of 350,000 accounts) for a potential 'benefit' tax study. The benefit tax will be an important component for financing the BRT projects. 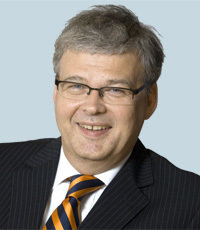 Bengt Kjellson was appointed as the Director General and Executive Chief of Lantmäteriet in July 2011, and before his appointment to head the authority, Bengt was Head of Lantmäteriet´s Division for Land Registration. Lantmäteriet is the Swedish mapping, cadastral and land registration authority. He has also been involved in international matters related to Land Administration. •	Chairman of UN ECE Working Party on Land Administration (2001-2005), and Bureau member 1999—2005. Lantmäteriet is the Swedish mapping, cadastral and land registration authority. This means that Lantmäteriet has a very strong role in the geospatial field, including a co-ordinating role for all kinds of geographic information from central and local government, but also in all activities related to real property and rights in land. The presentation will describe the impact that Lantmäteriet is creating for Swedish economy and government, focusing on the three main activities carried out by Lantmäteriet; cadastral services, land registration and the provision of geographic information and property information. Stephen R Hagan FAIA is recognized as an industry expert on technology | innovation , real estate, and the construction marketplace. In August 2012, Stephen retired from the federal government after 37 years and is now consulting about BIM, Innovation and Online Technologies. 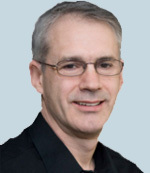 Steve is President | CEO of Hagan Technologies and Travel LLC in Reston, VA.
Stephen was program and project management lead for the U.S. General Services Administration PBS Project Information Portal (PIP) and a founding member of the GSA 3D / 4D Building Information Model (BIM) team. The AIA TAP Innovation awards program, which Steve founded (as TAP BIM Awards) in 2003, in 2014 celebrated its 10th year and includes partnerships with COAA, IFMA, and the AGC BIM Forum. It now begins 11 years as a leading example of innovation and technology foresight for the Institute. Emerging innovative technologies including BIM, Big Data and Geo-Spatial Analysis and Visualization can work at the scale of urban regions and cities, as well as buildings and building components. Dr. Shawana P. Johnson, GISP (Certified Geographic Information System Professional) is a globally recognized geospatial intelligence expert supporting the US government and the global geospatially focused security and intelligence industries with market research focused on technology platforms and capabilities which support airborne and spaceborne geospatial tools utilized inEnergy, Agriculture, Water Resources, Maritime Security and Land Asset and Resource Planning. These commercial assets are utilized to provide secure environments in a broad range of applications from event planning to water resource management for global food security. 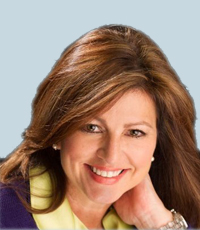 At Global Marketing Insights Inc., she serves as President to an international client base where her area of expertise includes providing Geospatial Business Intelligence Expertise™ in Cloud and Data Interoperability Programs; specifically for Agriculture, Energy and Water Resources applied sciences. With continuously evolving earth observation remotely sensed data sources and global commercial and security needs - imagery and point clouds are far more abundant and useful than ever before. From image classification and change detection to high precision measuring, there are an expanding number of remotely sensed offerings capable of optimizing projects for government and private companies alike. The abundance of this technology including airborne (manned and unmanned) and satellite imagery, small sats, advanced LiDAR and 3D offerings, and Full Motion Video are creating an overwhelming set of requirements for easy to use, interoperable and automated visualization tools with improved analytics. "Where do I begin?" asks the user. Open access data policies are becoming increasingly central to the work of National Mapping Agencies (NMAs), as a mechanism to improve the ability of governments to meet societal needs within their borders and beyond, while also enabling exploitation from industry for broad economic benefit. The U.S. weather enterprise, which includes government, academia, and industry, is an eloquent example of this dynamic. While efforts to improve data accessibility and sharing continue, the Earth observations community has identified persisting challenges to realizing the full value of geospatial information that go beyond the problem of accessibility. Unclear data access policies for specific datasets, and a lack of technical training are two of a diverse set of institutional, policy, economic and social barriers that prevent the full utility of this information. The Secure World Foundation partners with key stakeholders all over the world to identify and reduce these barriers, particularly in support of efforts to expand the use of geospatial information in developing countries. This presentation will discuss insights gained in the work of SWF about some of these benefits and challenges in the area of disaster risk management. It will conclude by considering how potential new partnerships between NMAs and industry could help address some of these challenges, supporting efforts to realize the value of geospatial information particularly among underrepresented sectors or communities. 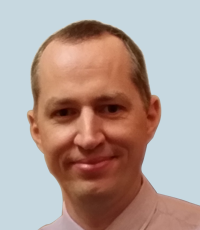 John Kedar is Director Strategic Relationships for Ordnance Survey International, a business providing Ordnance Survey and trusted partner knowledge and expertise to assist nations deliver appropriate geospatial information and derive the relevant benefits. Ordnance Survey International has offices in the Middle and Far East and has also delivered projects in South America and Africa. 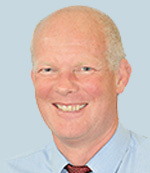 John joined Ordnance Survey International in 2013 from the British Army's Royal Engineers, where amongst other roles he led and developed Defence's geographic support. For 224 years Ordnance Survey has 'mapped' Great Britain. To flourish for that long has required great leadership and much change, amongst the most significant being the recent move to become a data organisation that enables the government, businesses and individuals derive benefit from geospatial information. As a British Government commercial business Ordnance Survey has both a public task and an obligation to return a dividend to the nation. It is no longer appropriate or possible for national mapping organisations to 'set the agenda'. This agenda is set by stakeholders; engagement is vital to understand what 'fit-for-purpose requirements' for GI, services and solutions need to be delivered, not just now but in the mid-term. Partners are essential in determining and delivering the agenda, across Government, business and even internationally. So too is the need for geospatial leaders to engage widely and successfully to ensure that location is at the heart of decision making. Lawrence Friedl serves as the Director of the NASA Earth Science Division's Applied Sciences Program. The Program supports efforts to discover and demonstrate innovative and practical applications of Earth science by public and private-sector organizations. He has been with the NASA Applied Sciences Program since 2002 and served as a Program Manager for several applications themes. Prior to joining NASA, Lawrence worked at the US Environmental Protection Agency, focusing on geospatial applications, and he served as a Space Shuttle Flight Controller in NASA's Mission Control Center for 15 missions. Lawrence received a Masters degree in Public Policy from Harvard University's Kennedy School of Government, and he received a Bachelors degree in Mechanical & Aerospace Engineering from Princeton University. Mr. Puckorius is a 26-year veteran in the satellite remote sensing industry with extensive expertise in the development, marketing and operations of global remote sensing and Earth observation companies and national space programs. Prior to joining PlanetiQ, Puckorius was Founder and CEO of Earth Observation Technologies LLC, where he managed the global sale and distribution of products and services for a number of remote sensing companies including GeoEye Inc. (now DigitalGlobe). Previously he served as Senior Vice President for International Marketing and Business Development at GeoEye, where he was the principal architect in creating a commercial industry for satellite imagery. Mr. Puckorius has also held senior and executive positions at Orbital Imaging Corp., Space Imaging Inc. and Earth Observation Satellite Company (EOSAT), the first commercial operators of the LANDSAT satellite program. At Space Imaging he orchestrated the commercialization of India's entire constellation of remote sensing data satellites, while at EOSAT he expanded the company's product portfolio by developing new applications for commercial and government markets. Satellite instrument miniaturization and the emergence of frequent, affordable launch options will soon lead to an explosion in the amount of weather and climate data available from commercial sources. There is the potential to merge this vast supply of commercial weather satellite data with new and traditional data sources from diverse platforms, advances in high-performance computing, and innovative geospatial tools to drive dramatically better forecasts, services, and business intelligence for numerous industries. PlanetiQ will launch the first commercial satellite constellation exclusively focused on weather, climate and space weather, with 12 microsatellites on orbit by the end of 2017. More than 8 million observations per day of temperature, pressure and water vapor, evenly spread around the globe, will dramatically improve weather forecasting, greatly enhance climate change detection, and fuel a next generation of weather and climate analytics for risk management across numerous industries. Johnny Fortune is actively involved in standards development within severalnational committees for the United Stated National CAD Standard,the National BIM Standard-United States, and theUSACE/Industry BIM/CIM Consortium. Fortune serves as chair of thebuildingSMART alliance® and BIM Director at Bullock Tice Associates in Pensacola, Floridawhere he has led the complete transition from CAD to BIM production, directs the company's overall BIM strategies, standards, technology operations, andoversees BIM integration with external stakeholders. He's presentedCAD/BIM workflow integration at several venues including; Autodesk University, NIBSAnnual Conference, CSI chapter meetings, and various Society of AmericanMilitary Engineer events. Through the rapid adoption of BIM over the past decade, industry leaders and project stakeholders have forecasted many potential efficiencies that can be gained by appropriately harnessing the power of BIM technologies. Many efforts are ongoing to unleash the untapped potential of data-rich models asit is realized that this technology can help to substantially reduce waste in the construction industry. IntegratingBIMwith GIS affords even more opportunities of utilizing the power of information. As with any systems integration, a standardized approach is crucial to ensuring the data is reliableand usable. This session will explore the role standards can play in better integrating BIM and GIS. We'll identify several challenges BIM/GISintegration brings by highlighting three main areas where well-developed standards can impact successful outcomes; the format, delivery, and access of the information. We'll look at what is in place now and what further needs to be developed to fostersuccessful integration. 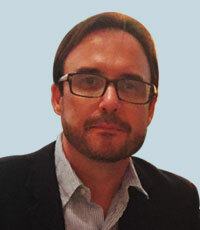 Deke is a partner in DKS Information Consulting, and a Senior Analyst with Cyon Research. He was the Executive Director for the building SMART alliance™, and a member of building SMART International Executive Committee. Deke was instrumental in the beginnings of the Whole Building Design Guide. He initiated both the United States National CAD Standard© and the National BIM Standard-United States®. He is a registered architect in the state of Virginia and a Fellow in the American Institute of Architects. He is co-author of "Building Information Modeling: A Strategic Implementation Guide" published in 2009 by Wiley, a book that identifies still to be achieved goals. This session will delve into the current issues and efforts in the BIM community which relate to geospatial information. He will identify the issues in the United States as well as provide an overview of international relationships. He will discuss what information is inherently BIM usable by the geospatial community and what geospatial information the BIM community can use. He will identify issues that the BIM community is working on to improve interoperability inside the community. He will discuss the IFC: Infra project being worked on by building SMART International as well as some other related projects. Deke will go on to discuss a future vision of where the opportunities of linking all spatial information and the potential new tools needed to focus on managing this information and making it usable to owners. The session will discuss the movement toward a Total Cost of Ownership strategy as well as work going on with Asset Management and Facility Management and how both will work together to change the way we look at and manage the built environment. The goal is to transform the facilities and infrastructure industries to eliminate waste, improve productivity, reduce cost, and be far better stewards of our environment. 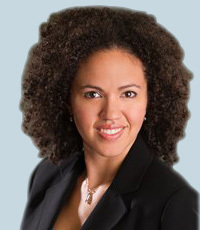 Ms. Eve Douglas is a Senior Program Analyst in the Office of Space Commercialization, National Oceanic and Atmospheric Administration (NOAA), U.S. Department of Commerce, in Washington, D.C. Her responsibilities include advocating and promoting economic interests of the U.S. commercial space industry in accordance with U.S. national policy. Her primary focus area is the commercial remote sensing satellite industry. Ms. Douglas came to the Department of Commerce in 2006 from DRS Technologies, where she worked as a Business Development Manager in the satellite communications division. In 2004, Ms. Douglas separated from active duty with the U.S. Air Force. She currently serves as a Lieutenant Colonel in the U.S. Air Force Reserves as the Reserve Attaché to France at the U.S. Embassy in Paris. While on active duty from 1996-2004, Ms. Douglas served as an Air Force officer in France, Germany, Texas, and Florida. Ms. Douglas received her Bachelor of Science degree from the United States Air Force Academy in 1996 and received her Master of Arts degree in French from Middlebury College's School in France in 1998. The United States Department of Commerce is charged with creating the conditions for economic growth and opportunity for U.S. businesses. Within the Department of Commerce and the National Oceanic and Atmospheric Administration, the Office of Space Commercialization's mission is to foster the conditions for the economic growth and technological advancement of the U.S. commercial space industry, and is the principal unit for space commerce policy activities with the Department. OSC's vision is a robust and responsive U.S. industry that is the world leader in space commerce, and is charged with advocating for U.S. industry within the government. To make this vision a reality, there are many current challenges facing the U.S. commercial space industry today as more and more companies have earth observing satellites on orbit. Today, the U.S. specifically needs to create a responsive regulatory environment for the U.S. commercial remote sensing industry that will enable the U.S. industry to flourish and embrace new technological advancements. A White House review of the 2003 U.S. Commercial Remote Sensing Policy is another key step to ensure a robust and responsive U.S. commercial space industry in this fast changing era. Stephanie Wan is the co-Chair of the Space Generation Advisory Council, a global non-governmental, non-profit (US 501(c)3) organisation and volunteer network which aims to represent university students and young space professionals to the United Nations, space agencies, industry, and academia. In addition, she is a System Analyst at Overlook Systems Technologies Inc. and provides support to NASA's Space Communication and Navigation (SCaN) Office in Washington, DC. She graduated from American University in 2008 with a B.A. in International Studies, and a M.A. in International Science and Technology Policy, with a focus in Space Policy from The George Washington University in 2010. She has been part of SGAC since 2008 in various positions, including: co-founder of Youth for GNSS Project Group (YGNSS), Regional Coordinator for the North, Central America and Caribbean, and supporting/participating events in previous Space Generation Congress, Fusion Forums, and the Strategic Partnership Team. Her professional interests include education and outreach, Global Navigation Satellite Systems (GNSS), small satellites (especially cubesats), Asia Pacific cooperation, space communications, nonprofit organizations, and international development. Her international studies and travel interests have led her to live abroad in Belgium, China, Japan, Spain and South Korea. In addition to her Masters studies, she was the President of the George Washington Space Society (GWSS), the student organization to gather the young space professionals, current space policy students, and alums in the Washington DC area. She has interned for a variety of organizations and companies, including: NASA, SpaceWorks Commercial, the Federal Communications Commission, SRI International. Standards promote worldwide trade and quality assurance. Standards facilitate procurement and they create "Markets". Standards are powerful tools that can help drive innovation and increase productivity. According to a recent DIN study, standards have a greater effect on economic growth than patents or licenses. This is because standards are the distilled wisdom of subject matter experts. Geospatial standards document concepts and practices for the efficient and effective exchange of geospatial information. The mission of the Open Geospatial Consortium (OGC) is to advance the development and use of international standards and supporting services that promote geospatial interoperability. To accomplish this mission, OGC serves as the global forum for the collaboration of geospatial data / solution providers and users. Organizations seeking the advantages of standards should include language in their procurements requiring solutions be compliant to standards. Only products tested using the OGC Compliance Program test facility can be certified as OGC Compliant. Products certified as OGC Compliant have attained a level of implementation to interoperate as specified in the standard and with other certified implementations. 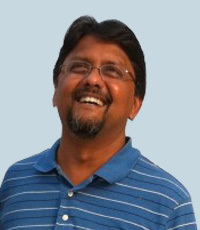 Manish Bhatt is a GIS practitioner since 1995. He has implemented GIS solutions in Oil & Gas, Transportation, Utilities, Public Safety and Land Administration. Manish and his team has twice won the Special Achievement in GIS award from ESRI and is a subject matter expert in implementing GIS for Property Valuation and Cadastral Mapping. 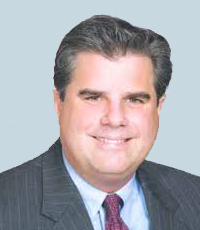 In his current senior management role, he is responsible for the strategic management of all aspects of the Orange County Property Appraiser's Office - a $140 billion dollar taxbase and the themepark capital of the world. Manish earned an MBA from Goizueta Business School at Emory University. Prior to that he earned a Master's degree in GIS and Geophysics from the University of Texas, Dallas. A native of India, he graduated from the Indian Institute of Technology, Bombay, earning an MS in Applied Geology before moving to the United States. This talk focuses on one of the most important part of any business - the customer. As a public service agency, fulfilling the needs of our customers is paramount. With 8 million yearly visitors to the Property Appraisers website, it behooves us to understand who our customer is and what is he/she doing on our website. Results of customer segmentation (done using Google Analytics) are shared. The primary focus of the talk is identifying 15 customer needs and the solutions our team has put together to meet those needs. Dr Vanessa Lawrence CB, HonFREng, FRGS, FRSGS, FRICS, FCInstCES, CCMI, CGeog is the co-chair of the United Nations Committee of Experts on Global Geospatial Information Management (UN-GGIM); in addition she is also working internationally as an advisor and special contributor to a number of other organisations. Vanessa is also the Honorary Colonel of 135 Geographic Squadron Royal Engineers, whose role is to provide geospatial support to the UK military; is a Board Member of the global organisation, the Open Geospatial Consortium (OGC); a member of the Board of Trustees for the Royal Geographical Society and Honorary Vice-President of the Geographical Association. She is a Visiting Professor at the University of Southampton and at Kingston University. From 2000-2014, Vanessa was the Director General and CEO of Ordnance Survey, Great Britain's national mapping authority. During that time, Vanessa was the advisor to the British Government for mapping, surveying and geographic information and was instrumental in the delivery of 'Place Matters: The Location Strategy for the United Kingdom' which was published and endorsed by Ministers. 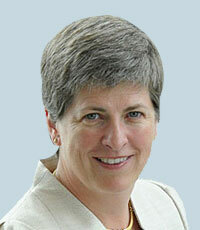 Vanessa is the longest serving Director General of Ordnance Survey since 1875. Prior to joining the British Civil Service, she held senior commercial development roles with the billion-dollar American software company, Autodesk and also the global media and publishing company, Pearson plc. In January 2008, Vanessa was appointed as a Companion of The Most Honourable Order of the Bath (CB) in the Queen's New Year Honours List. Jerry Johnston is Director of the Information and Technology Management Division, Office of the Chief Information Officer at the US Department of the Interior. In this role, Dr. Johnston leads an organization that is charged with designing, implementing and managing technology solutions in support of business and mission activities across the Department. This includes leadership of technology innovation and cloud computing, geospatial technology, enterprise data management and open data programs, and records and information management. 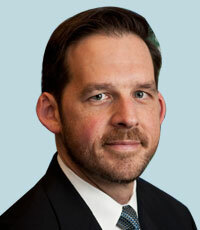 Dr. Johnston joined DOI in 2012 after previous federal service at the US Environmental Protection Agency and in multiple private sector positions. Dr. Johnston will provide an overview of the United States Federal Geographic Data Committee's ongoing efforts to manage and evolve the US Geospatial Platform (www.geoplatform.gov). The Geospatial Platform is a suite of shared geospatial technology solutions that are currently in use across multiple levels of government throughout the US. In this presentation, Dr. Johnston will discuss the history of the initiative and the current capabilities of the Geospatial Platform. He will then share information on a number of exciting new features of the Geospatial Platform that will become available later in the summer of 2015. To conclude, Dr. Johnston will discuss the ways in which the Geospatial Platform is supporting and advancing the US National Spatial Data Infrastructure, and will engage the audience in a discussion of how the US can learn from and collaborate with other NSDI technology efforts similar to this one. Nancy Colleton is an internationally known and respected leader in environmental communication and information. As the president of the Institute for Global Environmental Strategies (IGES) she leads numerous initiatives that promote better understanding of the changing planet. Ms. Colleton has highlighted the need to leverage investment in Earth observations for a growing and diverse user community. Her work has appeared in publications such as The Washington Post, LiveScience, The Huffington Post, Space News, and SAPIENS, among others. She has also been a guest expert on The Weather Channel. 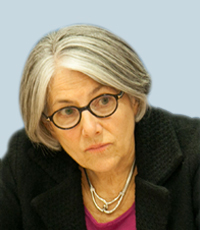 In addition to serving as the deputy chair of the Commission on Education and Communication (CEC) of the International Union for Conservation of Nature (IUCN), Ms. Colleton leads the Alliance for Earth Observations and co-chairs the Environmental Information Services Working Group (EISWG) of the National Oceanic and Atmospheric Administration (NOAA) Science Advisory Board. 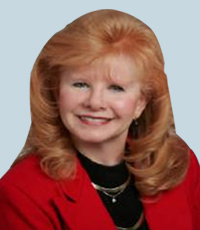 Ms. Colleton holds a degree in communications. 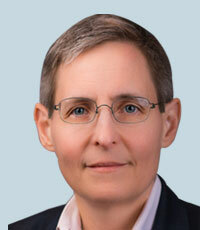 Her affiliations include: Deputy Chair, CEC, IUCN; Co-Chair, EISWG, NOAA Science Advisory Board; Fellow, Council of Fellows, Cooperative Institute for Climate and Satellites (CICS); Advisor, Skybox Imaging; Steering Committee Member, Commission on the Weather and Climate Enterprise, American Meteorological Society (AMS); Board Member, DigitalGlobe Foundation; Participant, The Climate and Security Working Group; former Member, Strategic Directions for the Geographical Sciences in the Next Decade, National Research Council; Member, Editorial Advisory Board, Apogeo Spatial; Member, International Program Committee, American Astronautical Society (AAS); and Member, International Activities Committee, American Institute for Aeronautics & Astronautics (AIAA). 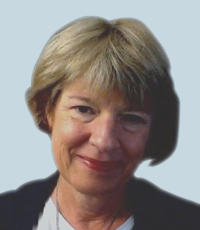 Barbara J. Ryan, is the Secretariat Director of the intergovernmental Group on Earth Observations (GEO) in Geneva, Switzerland. Under Ryan's leadership, millions of satellite images and other Earth observation data have been made available to the general public at no charge, allowing scientists, planners and policy makers to make better-informed decisions. Since becoming Director of GEO in 2012, Ryan has worked to integrate Earth observation systems from around the world into a single, comprehensive system that uses coordinated data to understand how environmental factors impact human life. 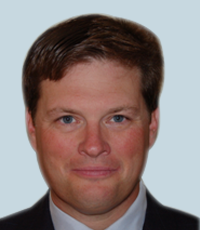 Kevin O'Connell has over three decades of experience working at the intersection of intelligence, national security and homeland security. He has written about the importance of anticipation in intelligence and national security affairs. He is also an expert in foreign and non-governmental approaches to intelligence. 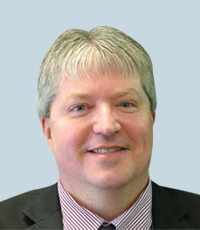 Kevin O'Connell is President and CEO of Innovative Analytics and Training, LLC, a "sources and methods" company designed to improve the quality of analysis and decision-making for government and commercial clients. He is the former director of the Center for Intelligence Research and Analysis (CIRA) and Vice President for Intelligence Community Programs within Defense Group Incorporated. Mr. O'Connell has served on a number of senior government panels, including as a senior adviser on analysis to the Office of the Director of National Intelligence, a DHS information policy board and a DARPA-NGA panel. 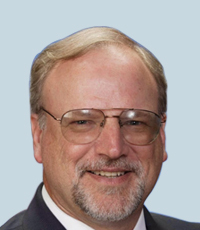 He is the Chairman of NOAA's Federal Advisory Committee on Commercial Remote Sensing (ACCRES) and previously served as the staff Director of the Independent Commission on the National Imagery and Mapping Agency (NIMA) (1999-2000). Mr. O'Connell served as the first Director of RAND's Intelligence Policy Center (2001-2004) during almost a decade at RAND. 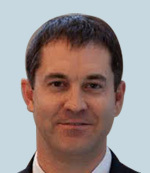 Mr. O'Connell graduated from the Ohio State University in 1982 with a Bachelor of Arts degree in International Studies. He also undertook graduate training in national security studies at George Washington University, and received a Master of Public Policy degree from the University of Maryland in 1992. 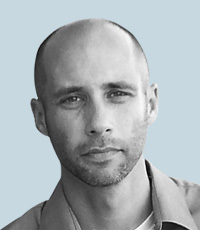 Jason San Souci's knowledge spans 13 years of research and development, remote sensing use case analysis, GIS workflow optimization and custom application training. He has managed the growth and operations of four commercial geospatial technology companies building solutions for many vertical markets including agriculture, utilities, insurance, forestry, mining, renewable energy and disaster response. It is estimated that over the next decade $13.6 billion will be spent in the commercial UAV market. Today, drones capture multispectral, thermal, LiDAR and hyperspectral data for a wide variety of industries. As with any earth observation data collection comes challenges and realities of big data. Leveraging software and hardware technology from PrecisionHawk, HP ZBook Mobile Workstations powered by Intel® Core™ i7 processors combine to speed up end-to-end capture-to-decision solutions reducing hours of processing and enabling non-geospatial experts the ability to exploit data onsite. This session will share the impact of UAVs on various industries and how leveraging technology leads to better business decisions. Jim will provide an understanding and a vision of how facility managers will use spatial tools and strategies for managing all assets. To gain an understanding of how FMs will use spatial tools and strategies, one first needs to understand the breadth, diversity and strategic perspective of facility management (FM), as well as the resulting challenges. Over the past decades FM organizations have both broadened and elevated their roles and responsibilities to a strategic level. Typical FM organizations now participate in cradle to grave facility functions; oversee both hard and soft facilities services delivery; and engage in total cost of ownership (TCO) data-driven decisions. The challenge is that the data required to support facilities business analytics and strategic decision making resides in multiple and largely disparate systems. Today, most facility managers are overwhelmed with the amount of relational and spatial data and the lack of standardization to allow integration and effective use. Spatial tools are being incorporated into more facilities organizations to help effectively manage these diverse functions. However, many challenges remain before the stewards of the built environment can efficiently and seamlessly integrate the relational and geospatial data to optimize the performance of the facilities. 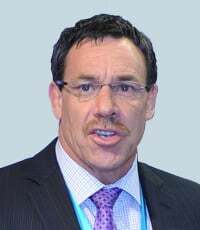 Dr. Todd S. Bacastow is a Professor of Practice for Geospatial Intelligence in Penn State's College of Earth and Mineral Sciences and the director of Penn State's Geospatial Intelligence programs. He is the author of the Massive Open Online Couse (MOOC) titled The Geospatial Revolution and Geospatial Intelligence which was delivered to students in over 180 countries. 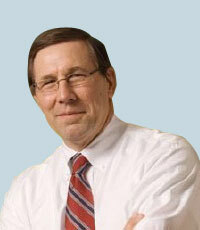 He has served as an expert witness in several patent infringement cases. Before joining Penn State in 1994, Dr. Bacastow retired from the United States Army where he served in a variety ofinfantry, engineer, and geospatial intelligence assignments and positions. He was previously an Assistant Professor in the Department of Geography and Computer Science and an Associate Professor in the Department of Geography and Environmental Engineering at the US Military Academy. He holds a BS in Engineering from the United States Military Academy, and a MS and PhD in Geography from Penn State University.